There is a definite shift happening around the world where families are looking for cleaner more natural products for their homes. More and more people are looking for products with less harmful chemicals and ways to lessen their carbon footprint on the environment. Companies like H2O at Home are part of who is leading that movement by offering an entire line of products for your home, office, and even car – all of which are made with the most natural ingredients possible. 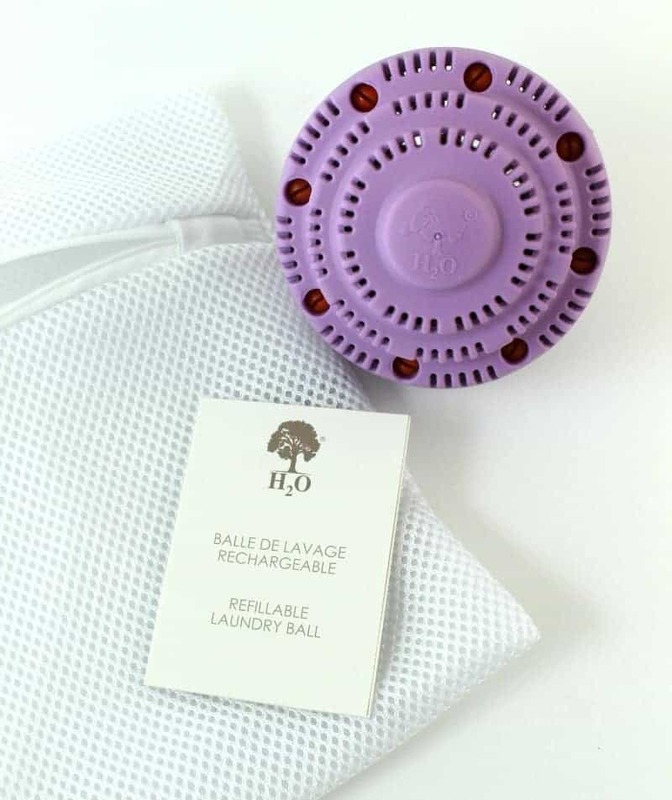 Independent H2O at Home Consultant Mary Gilson sent in the Refillable Laundry Ball Set for inclusion in this year’s Diva Holiday Gift Guide. If you are anything like me – laundry seems to be the only constant in my life. I literally wash a load every single day. When I saw that there was a product that would help me reduce my consumption of laundry detergent by 75% as well as protect the laundry against oxidation, preserve its colors and enhance the softness of fabrics – I was ALL.IN! The Refillable Laundry Ball Set comes already filled with Ceramic Pearls and with a Small Laundry Net. You simply replace the ceramic balls about every 18 months and voila! Simply toss into every load and the Refillable Laundry Ball reinforces the cleansing properties of water and softens the fabric to make impurities easier to remove. H2O at Home has products for every aspect of your life. From the home to the office, skin care, home fragrance and more – they have you covered. You can purchase H2O at Home directly from Mary’s website or host a party to earn free and discounted products. If you want even more, consider joining Mary’s team and growing your business with a company helping to lead the world to a more natural way of life! Check out Mary’s website to learn all about how you can get involved with H2O at Home.